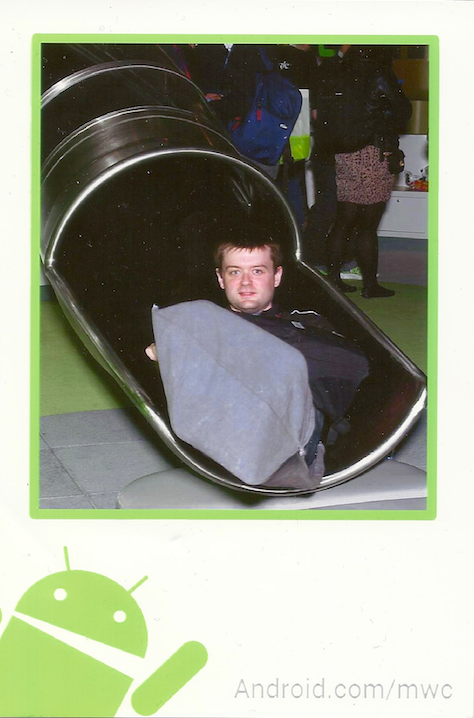 Last week I went to Barcelona to attend Mobile World Congress for the first time. It was incredible for several reasons, most importantly how all of our products came together to tell one unified story: the Web is the platform. You can’t talk about one of the products without it leading directly to the others: Boot2Gecko and Open Web Devices, Marketplace and apps, Persona, and Firefox. I’m excited about it, the conference was excited about it, the industry is excited about it, and Mozilla rocked the show despite it being our first time there. 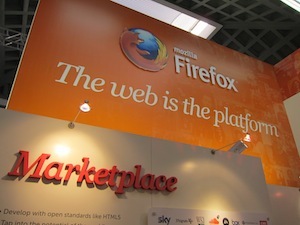 Mozilla’s booths were in the App Planet exhibition hall along with many platform, commerce, and other software companies. There was a good vibe, especially compared to some of the other halls entirely dominated by hardware giants with multi-million dollar booths the size of a city block. I spent most of my time in Mozilla’s main booth giving demos of our HTML5 apps platform and answering questions about the Mozilla Marketplace. People love Mozilla and were very excited to see us there with cool new products. I think for many people, this is the first time they considered Mozilla as more than just Firefox. I think this gave our booth a lot of energy throughout the day, and isn’t something I saw at any other booths I visited. It felt great. Almost no one knew that HTML5 device APIs that we demoed in Firefox for Android existed, such as vibration, notifications, camera access, accelerometer, battery status, and full screen mode. Any time someone came to me doubting HTML5’s power, Paul‘s demo page really shocked them and many were eager to learn more. Even so, quite a few people (usually journalists and analysts, but sometimes developers) commented to me after demos that they think “this (HTML5 apps) is the way things are headed”. Many people equate HTML5 to “online and remotely hosted”. Coming from many years of web and add-on development, the idea of locally hosted HTML isn’t anything out of the ordinary for me, but to everyone else HTML5 means “website”. I did a few Boot2Gecko device demos, and several people asked what happens to the homescreen and dialer when the phone is offline. As part of my apps demo, I always talked about offline support in HTML5 which we encourage app developers to take advantage of, but I think this is an important component of our HTML5 messaging we should work on. When you announce you’re opening an apps marketplace, LOTS of people want to talk with you about how their product or service can integrate with it. I have a lot of research and follow-ups to do. Everyone (myself included) was floored by the B2G device’s shutdown and startup time. Mapping the phone’s menu button to View Source was also a hit. The new Firefox for Android builds have a gorgeous UI and are extremely snappy. I can’t wait for them to ship, and neither can the folks I showed them to. I know many people worked very hard to get the products ready in time for the event, and having them there telling the same story is why they were so well received. Thank you for making that happen. Now that we’ve shown the mobile world how we’re going to change it, let’s do it!